Buy United Nightstalkers Don't Quit Tanto Black , from Budk - RBC VISA for $22.49 only in My e-commerce. 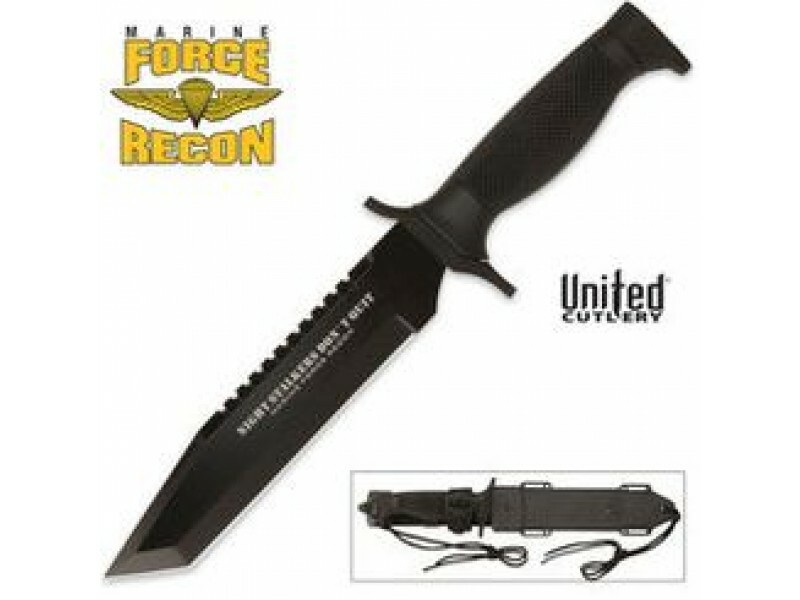 When the Marine Force goes into the night, they need a knife that will get the job done. 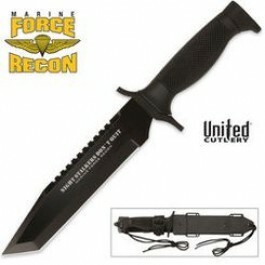 They carry this 12" stalker, with a 7" black-coated AUS-6 stainless steel blade with a double-serrated back edge. The black rubberized handle provides a no-slip grip and features a lanyard. The whole package fits snugly in the included nylon and ABS sheath.